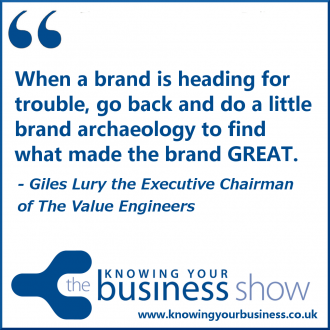 Captivating radio interview on the subject of storytelling for business with Giles Lury the Executive Chairman of The Value Engineers. 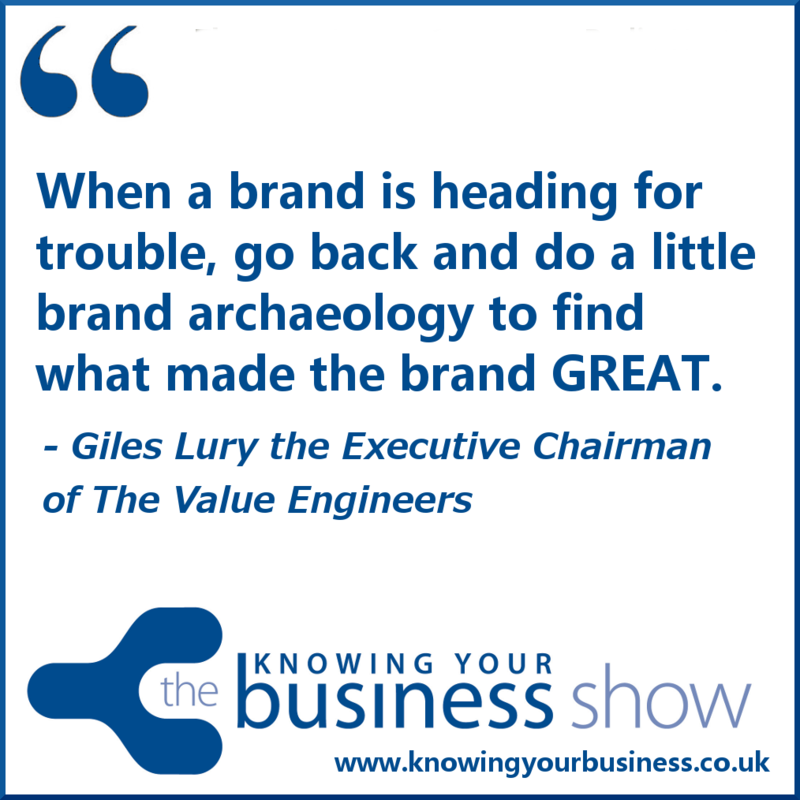 We heard some super insights into brand archaeology to find the story, and more, as only Giles can tell it – in story form. The podcasts are now available further down the page. Asking the all important questions is ex BBC journalist and regular presenter Iain Nicholson. Giles tells us a 2:39 second story of the birth of the Tesco boom years. It came down to 10 words. To create value for customers to earn their lifetime loyalty. Giles specialties include:Brand positioning, re-positioning, brand extension and brand architecture. Renowned for his creative spark. Favourite workshop prop: One of his Lego watches. Giles launched his career in advertising in 1982 where he built up his reputation for 12 years, winning not one but two IPA Advertising Effectiveness Awards. He brings an invaluable 360 degree perspective to any project with a wealth of experience in communications, packaging and corporate identity as well as a strong hand in brand consultancy! In addition, he contributes regularly to the media and is the proud father of four books: “Brandwatching”, “Adwatching”, “Researchwatching”, and the latest release . Giles now focuses his time on honing specialisms in Branding especially positioning, architecture and extension. Ian Gentles - Digital Marketing Specialist based in Banbury Oxfordshire, The founder and Digital Marketing Manager of Knowing Your Business (the business radio show that is a rather useful marketing vehicle with podcasts). Iain Nicholson – a town centres specialist who has worked on a number of projects and initiatives in towns and city suburbs. Iain draws on his background as a leading PR & Communications for business specialist in Oxfordshire and his expertise in public relations, business communications strategy, using social media, and skills training. Iain is a former BBC radio journalist and co-founder of countywide business network OTCN. Knowing Your Business Show time is every Thursday from 10 am until 12 pm on Radio Horton. If you have any questions for our guests, or if you want like to leave a comment, please do. Some great stories here and useful for those of us in the early stages of developing our brands. Pleased to read that Michelle. We love stories.